A Cloud base Ace Tech point of sale system (POS) can be a great way to improve your business. 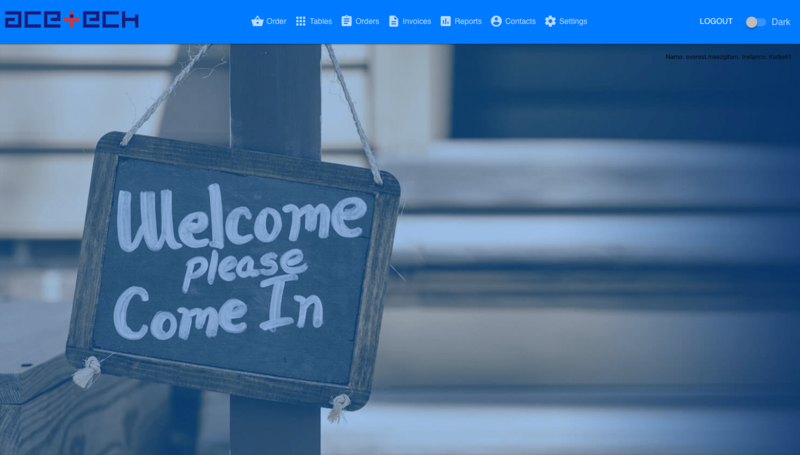 This allows you to ring up your sales from anywhere, inside your Restaurant or on the road. 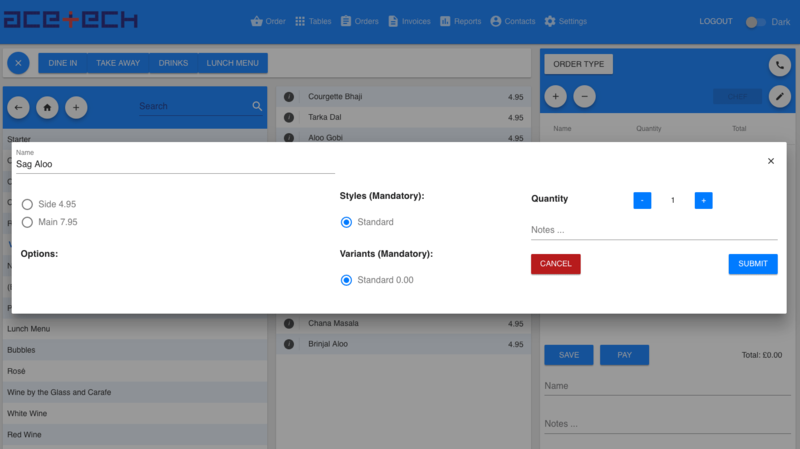 The most important things to consider before purchasing a Cloud based Restaurant POS is whether your current pos system will work seamlessly with the POS that you get. For larger Restaurant, it makes sense to have portable options for your Epos system. Using wireless handheld devices,or Any tablet that allows employees to take order on table that employees are saving too much time running back from POS terminal. Restaurant business is not easy as you have to effectively keep watch over pilfering of food, cash and other items. Scams from employees are a common problem that cost you money and peace of mind. A till (British English) or cash register (US English) has obvious chances of fraud from dishonest employees. To avoid all the trouble, more and more restaurant owners are now availing the services of Restaurant EPOS Software which is not just any hospitality EPOS but a complete package meant to deter fraudulent activities. Ace Pos offers seamless integration of Chip and Pin paymentsense, loyalty and gift cards, ordering App, website online ordering , table reservations, tableside ordering and mobile payment systems. Ace Restaurant Tech EPOS software is invaluable and provides a complete package that allows you to co-ordinate all functions with one system. 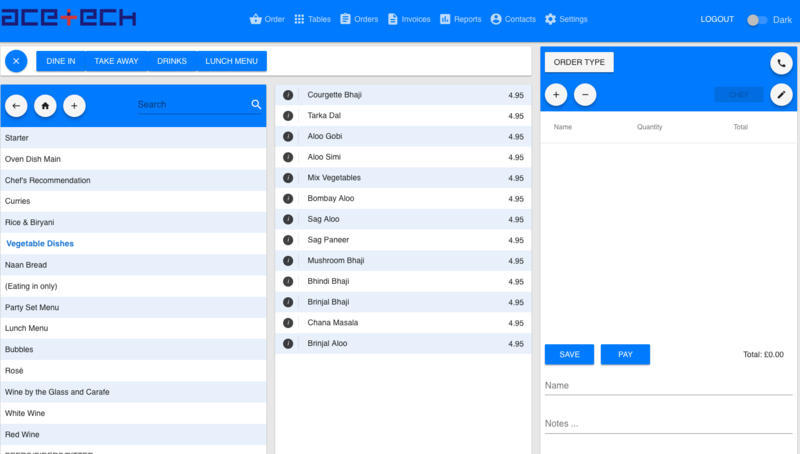 It helps you to tracks table status, take order over the phone, find post code online, Manage your order online . Control and manage- It’s okay if you are not available at the store 24*7. Ace restaurant PoS systems allow you to decide who has access to what, anytime you decide . Managing financial from anywhere and better if you are using a cloud PoS. Other- Constancy in pricing, remote control, speed in both fulfilling orders, faster checkout and data to grow and maximize profits.